From the majestic Chateau du Champ de Bataille in Normandy, whose formal gardens are beautiful even in winter, to a romantic spring weekend in Eugenie-les-Bains; from a radiant day on the Mediterranean’s Salins d’Hyeres Beach to a lateautumn sojourn in Saint-Emilion, the 27th edition of the iconic French Country Diary desk calendar celebrates France in all seasons. Generous space for jotting notes, an elegant ribbon, and decorative address pages enhance this unique calendar. 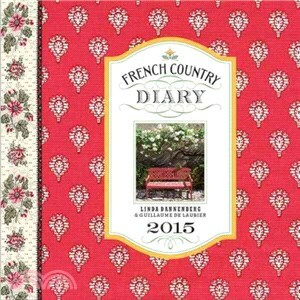 Linda Dannenberg is the author of 12 books exploring French lifestyle, design, and cuisine. Guillaume de Laubier is one of France’s foremost decorative arts and lifestyle photographers.